We have a warm, friendly and energetic staff. 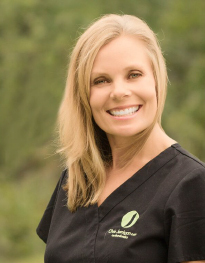 We pride ourselves on completing numerous continuing education hours each year to stay on the cutting edge of new techniques in the field of orthodontics. 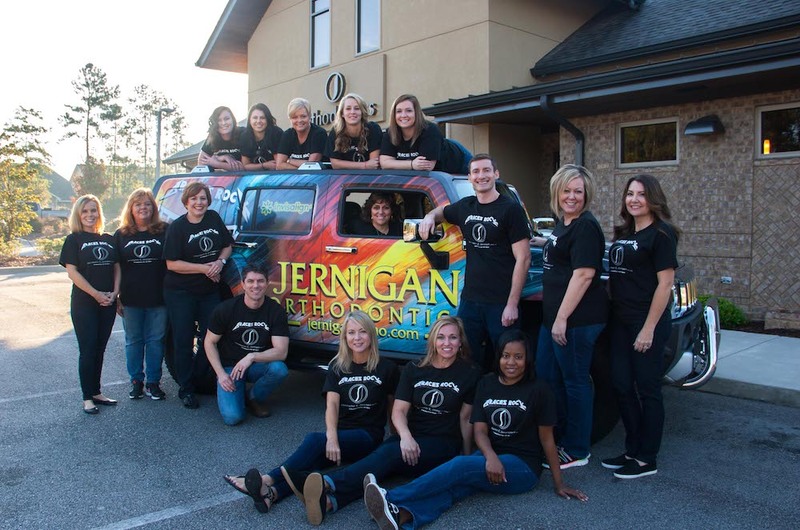 I am excited to join the Jernigan Ortho Team. I'm originally from Connecticut but have roots in the south as I attended Elon University in NC. I completed dental and orthodontic training at Temple University in Philadelphia, PA. I practiced in Philadelphia prior to moving closer to family here in SC. 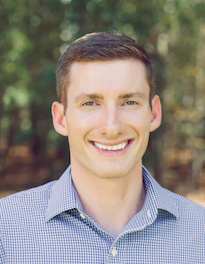 I am a 3rd generation dentist who loves orthodontics and making patients happy. I enjoy hiking, paddle boarding, biking and hanging out with my wife, Dusty, and son, Hudson. I have yet to determine my opinion on the Clemson-USC rivalry. My career in orthodontics began in 1985. 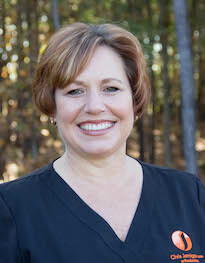 I joined Dr. Jernigan’s team in 2012. I am very fortunate to be cross-trained in many areas of the office. 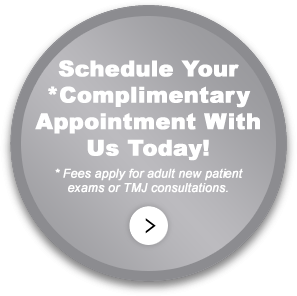 I love welcoming patients to our office and building relationships with them. I enjoy watching their beautiful smiles transform. In my spare time, I have fun spending time with my family, reading books, and going to North Myrtle Beach. 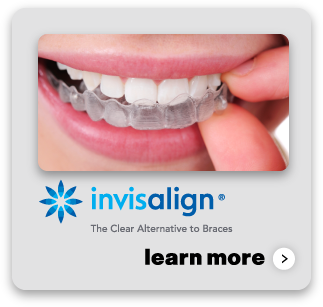 I have worked in the orthodontic field since 1990. 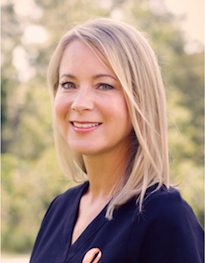 I joined Dr. Jernigan’s team after experiencing the exceptional care that Dr. J provided my son. The best part of my job is seeing beautiful smiles created and knowing the value of this one simple change and the positive impact it can have for a lifetime. My husband, Sam, and I were high school sweethearts. We are blessed with 3 children and 3 grandchildren. I enjoy traveling and spending time with family and friends. 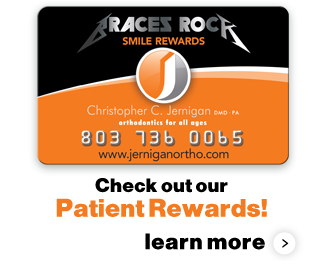 I have been involved in orthodontics for over 25 years. I began my career shortly after attending college in North Carolina, where I grew up. 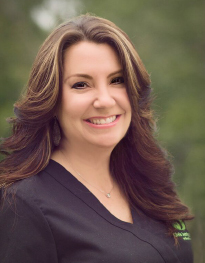 I have been with Dr. Jernigan’s team for the past 7 years after relocating with my family from Chicago. Outside the office I enjoy golf and spending time with my family. I love watching the Chicago Bears and Blackhawks play! 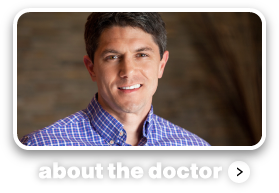 I have been with Dr. J’s staff since June of 2012. 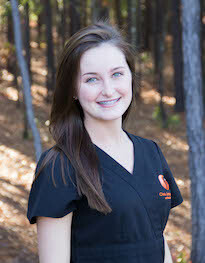 I am a Certified Orthodontic Assistant. I am a full time college student studying finance. In my free time, I enjoy spending time with my family and my dog, Sandy. I am a Georgia Bulldog fan, not Carolina! I love orthodontics because of the beautiful smiles that are created here! 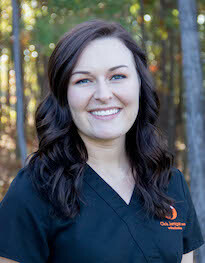 I am a Certified Orthodontic Assistant. 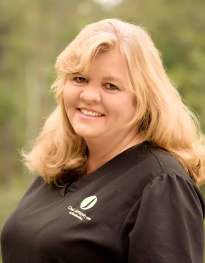 I love being part of the Jernigan team and working with our great patients. In my time away from the office, I enjoy being outdoors, going to the beach, and being active at Village Church in Blythewood. My favorite activity is spending time with my husband Greg, my three children – Shelby, Kailey, and Evan, and our two dogs. 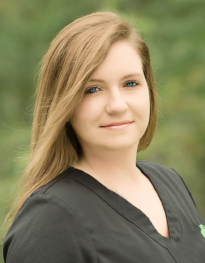 After completing dental assisting school, I joined the Jernigan team in June of 2015. I am a Certified Orthodontic Assistant. I was recently married to my best friend Matt. I attend Village Church in Blythewood and love hearing the band play every Sunday. In my time off, I love going to Lake Marion with my family, fishing and playing with our puppy, Periwinkle. 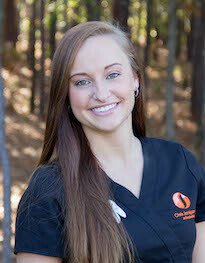 I am a Certified Orthodontic Assistant. 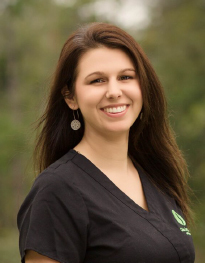 After completing dental assisting school, I joined Dr. Jernigan and his wonderful staff in June 2015. 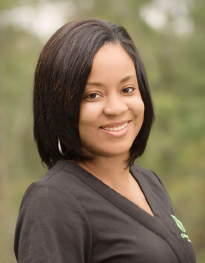 I enjoy working with patients of all ages and seeing their beautiful smiles when their braces come off. I feel lucky to work with a great team of people who are friendly and willing to help. Outside of the office, I enjoy traveling, shopping, and spending time with my family and friends. 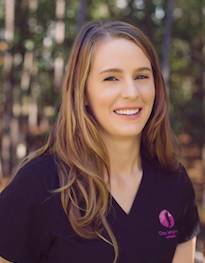 I am a Certified Orthodontic Assistant and have been assisting for many years. I love working with the “J” Team and helping our patients get beautiful smiles! I was born and raised in Columbia, SC. Jimmy and I have 2 wonderful grown children, a Maltipoo named Angel and a not so friendly cat named Cali. I follow sports and love watching the Gamecocks play. In my time off, I enjoy spending time with my family and close friends, and relaxing on the beach. I’m originally from Pawley’s Island, SC. I graduated from the College of Charleston with a degree in Business Administration. I worked in marketing before taking time off to stay home with my children, Eliza and Jackson, while they were young. I enjoy getting back to the beach with them and my husband, John, painting, decorating and equestrian sports. I was raised in Elgin, SC. I am currently in college studying dental hygiene. I was a patient of Dr. J’s and have been employed with him since 2014. When I am not attending school or working, I enjoy spending time with friends and family and my rescue dog, Mya. I was born in Pennsylvania and moved to SC when I was in high school. I graduated from Columbia College with a major in special education. I have been married for 25 years; we have two daughters and three Frenchies. I enjoy traveling, reading, and spending time with my family. I also like to spend my time volunteering for dog rescues. I was born and raised in the South. I graduated from Dental Assisting in 2015. I have been employed with Dr. J since May 2016. The thing I enjoy most about working here is meeting new people. Outside of work, I enjoy riding at ATV mud parks and spending time with my family. My career in orthodontics began in February of 2017. I have been so blessed to be welcomed into this work family. 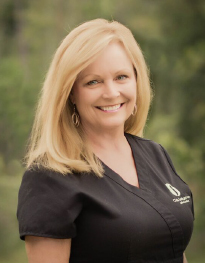 I love working for Dr. Jernigan and being part of the “J-Team.” In my spare time I enjoy spending time with my family and friends, riding horses and being active at Village Church in Blythewood. 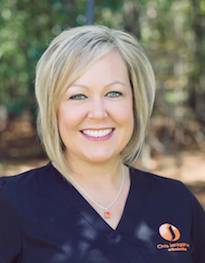 After completing dental assisting school, I joined the Jernigan team in July of 2017. I enjoy spending time with my family and my dog, Banks. I love orthodontics and being part of creating beautiful smiles.